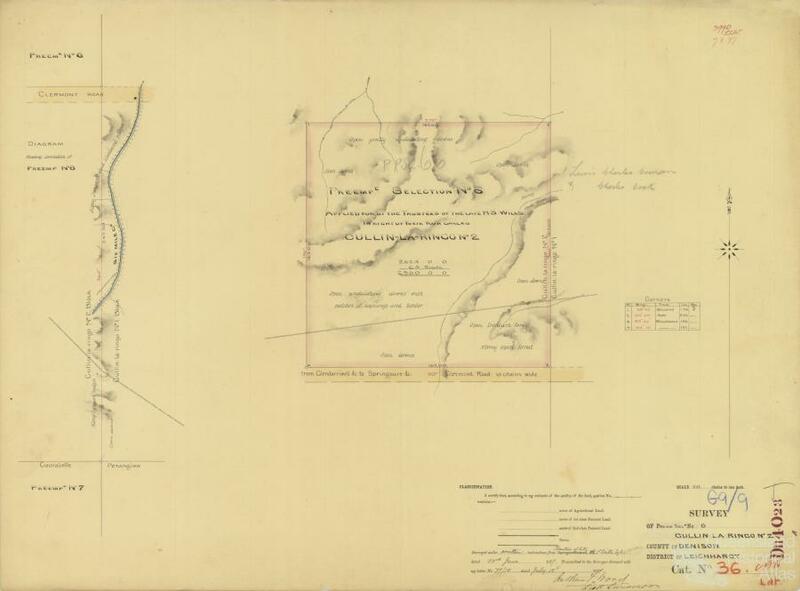 Thomas Wentworth Wills narrowly escaped death on 17 October 1861 when his father and 18 others were killed at Cullin-la-ringo Station on Garden Creek, near Springsure. Wills was a champion cricketer of his era, he initiated the first code for Australian Rules Football in 1858, and coached and captained the first Australian Aboriginal Cricket Team in 1866-67 which toured England in 1868. Thomas Wentworth Wills was educated at Rugby School in England and was a member of a family who arrived in Australia in 1799 and were early settlers in New South Wales and Victoria. 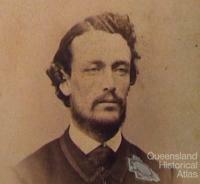 Tommy Wills was the grandson of convict Edward Wills transported to Australia for highway robbery. He was the eldest son of Horatio Wills, editor of The Currency Lad, a member of the Victorian Legislative Assembly and an ambitious grazier intent on settling land in the new state of Queensland on the Nogoa River, where he had bought land from established squatter P.F. McDonald. 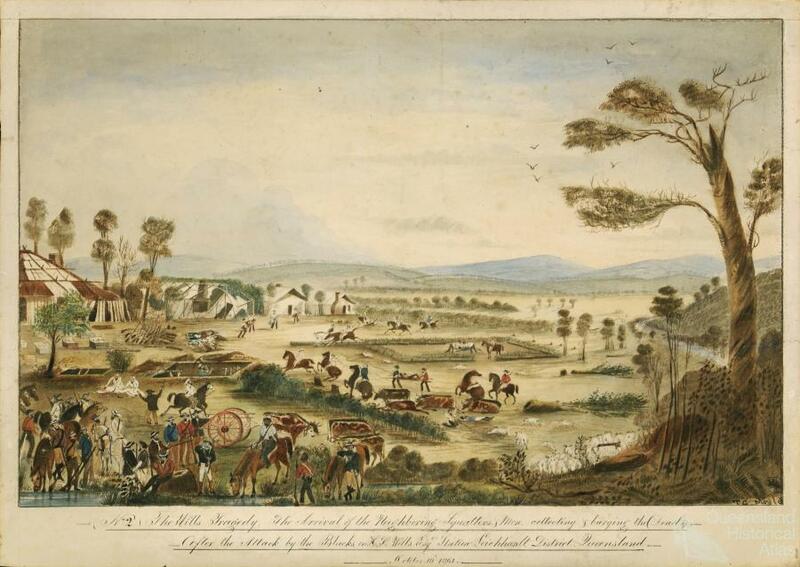 The attack at Cullin-la-ringo followed an eight months overland trek from Brisbane. It was the largest massacre of whites by Aborigines in Australian history. It was a payback massacre, part of the savage frontier guerrilla war that was being waged at the time. 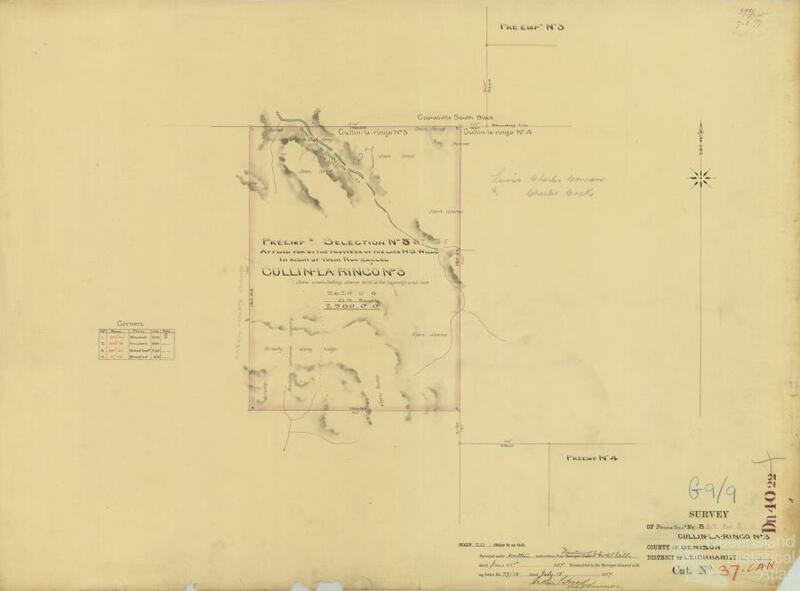 Fifty miles from Cullin-la-ringo and north of the Expedition and Staircase Ranges, some local graziers in 1861 were poisoning Kairi Kairi water holes and shooting Aboriginal people, while the Native Mounted Police were being encouraged to forcibly evict Aboriginal people from station and river camps. Tommy was away at Albinia Downs collecting stores with his stockmen Jim Baker and Bill Albury when the massacre occurred. Horatio had a very positive relationship with Aboriginal people in Western Victoria and he insisted on locking all firearms away. Of course, another payback massacre followed and more than 200 local tribesmen and their families were slaughtered as they fled towards Mount Wandoo. P.F.McDonald later wrote ‘It is not easy that a place so gifted by nature should be the scene of such a cruel massacre …’. Charles Dutton of Bauhinia Downs wrote ‘The Aborigines have one feeling in common with whites – that of deep implacable revenge for unprovoked injury’. This young colonial grazier who had witnessed the murder of his father, at the age of 26, stayed on to build the 200,000 square mile Cullin-la-ringo property, with the few remaining shepherds, into a working station, complete with a flock of 10,000 sheep and cattle, yards, sheds and fences. Finally, in 1864 after a successful cricket tour against the English in New Zealand, he was asked to resign from the station by the Trustees, leaving his younger brother Cedric in charge. Although shocked and angry, he returned to Melbourne and his beloved sporting world as a brilliant exponent of cricket and football. It was Wills’ historic letter to Bells Life in Victoria, written on 10 July 1858 and demanding ‘A game of our own … played in the winter months to keep cricketers fit’, which had already made its mark in the colony. The letter was a catalyst in Australian Rules football development. Tommy Wills played over 200 football matches for Melbourne and Geelong as captain and coach. He was also the secretary of the Melbourne Cricket Club for some years and led Victorian intercolonial cricket teams against New South Wales. Tommy Wills coaches the first Aboriginal cricket team – they are a sensation! 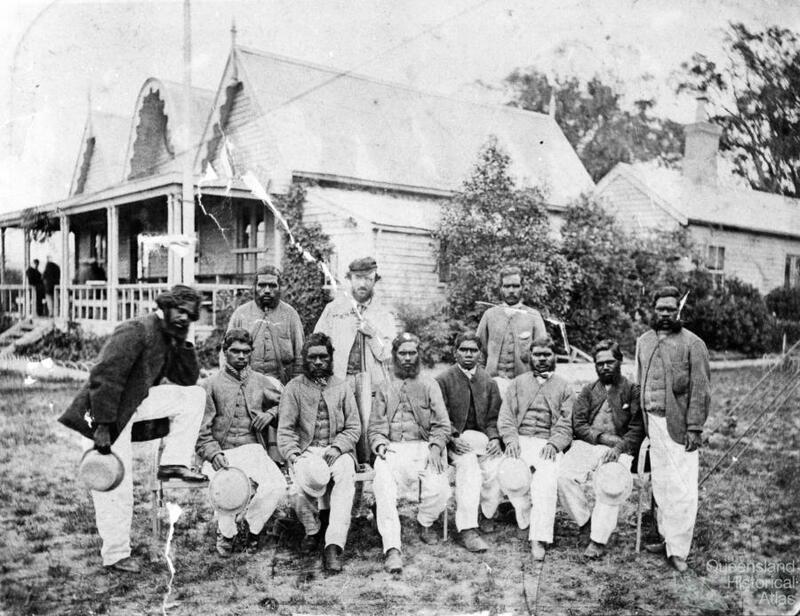 In November 1866 Tommy Wills sailed to Portland and travelled to Edenhope in Western Victoria to coach a group of Aboriginal cricketers. Aboriginal cricket in the Western District of Victoria had developed early in the life of the colony. When Tommy began to coach the Aboriginal eleven he found that due to major support from local graziers – introducing the game to those working on the stations – the nucleus of a talented team was already underway. 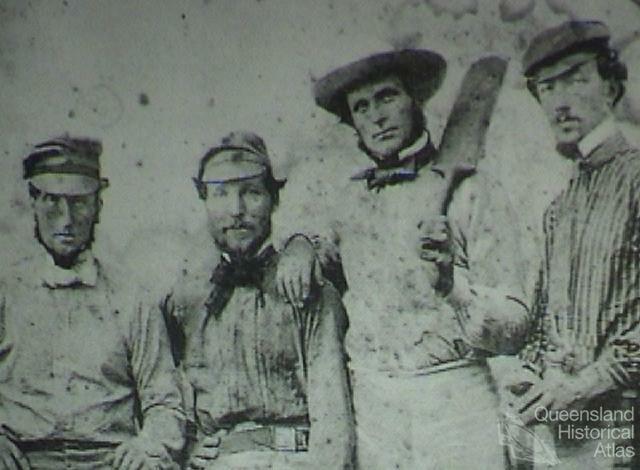 Wills built a bond of friendship with this team whom he protected from exploitation during their successful 1867 tour of Victoria and NSW. They caused a sensation when they played the Melbourne Club at the MCG on Boxing Day, 1866. 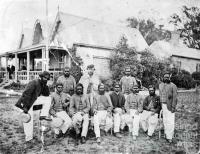 On the following day, a game between Australian Natives versus The World was also a success, with Tommy Wills and four other colonial cricketers – all Australian born natives – joining the Aboriginal team. Commentators maintained Tommy would have been bitterly disappointed not to accompany this team on their 1868 English Tour. His place was taken by an English cricketer and colleague, Charles Lawrence, who had settled in Australia. As early as 1869 it was rumoured that Tommy’s heavy drinking was affecting his playing and his temperament. Tommy did continue playing cricket and football with Melbourne and Geelong and wrote a coaching handbook. By 1878, however, he had become an alcoholic and confined for some time in Kew Lunatic Asylum. On 2 May 1880 he took his own life despite desperate attempts to save him by his partner Sarah Barber Wills. At the time of his death at age 43 he had been bought out of the family property. As the Australasian wrote five days after his death ‘If Tommy Wills had an enemy in this world, that enemy was unhappily himself alone’. Thomas Wentworth Wills was buried on the hilltop in Heidelberg Cemetery. The historic Cullin-la-ringo Station remained in the Wills’ family ownership for over 30 years. 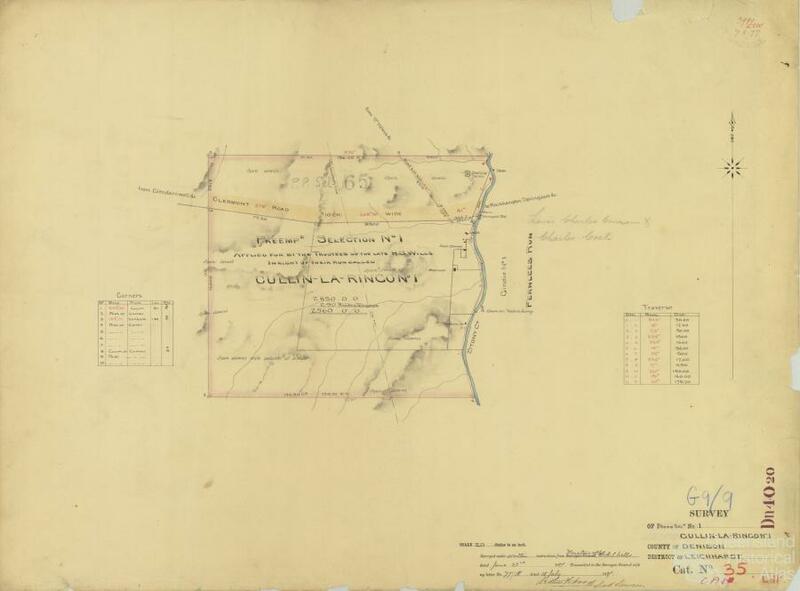 Finally in 1881, Cullin-la-ringo along with the adjoining Telemon Station was auctioned. The properties were carrying about 64,000 sheep, 4000 cattle and 285 horses. 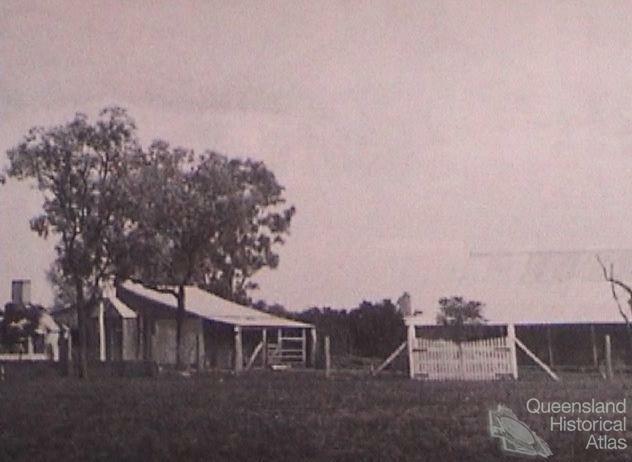 They were later subdivided into small sheep properties and in 1948 became part of the Queensland British Food Corporation's grain sorghum project. 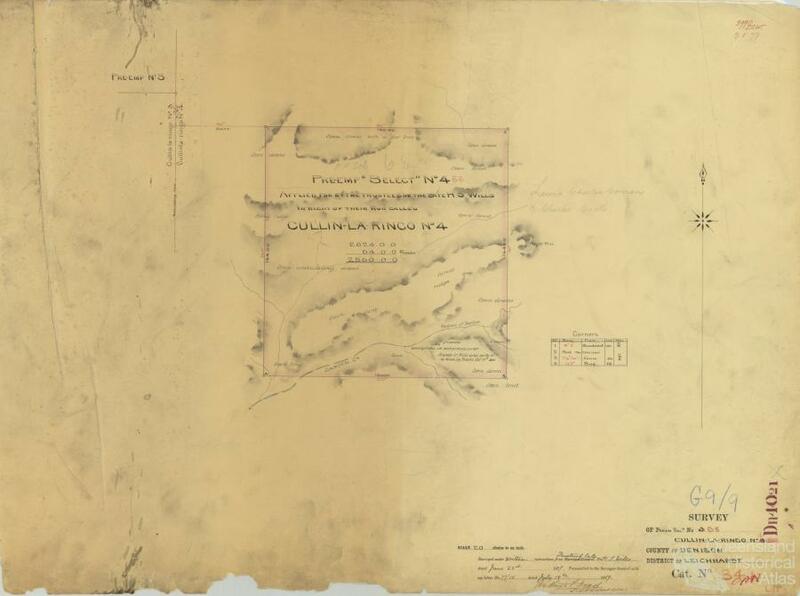 From the early 1970s the waters of the Fairbairn Dam constructed for farm irritation purposes, near Emerald, cover a large area of the original station.